16-year-old Laura Chant (Erana James) is the primary carer for her young brother Jacko (Benji Purchase) following the death of their father. Kate (Melanie Lynskey), their mother, is pre-occupied with work leaving Laura to act as mother in her absence. Jacko goes missing and Laura finds him in a pop-up shop filled with toys, owned by the mysterious Carmody Braque (Timothy Spall), who puts a stamp on the youngster’s hand. Laura soon realises that there’s much more to Braque when he keeps appearing and Jacko becomes gravely ill. Desperate, Laura turns to classmate Sorensen Carlisle (Nicholas Galitzine) who she discovers is from a family of witches that may be able to help her. 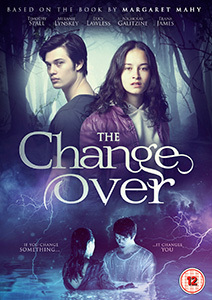 The Changeover is based on the much-loved book by the late New Zealand author Margaret Mahy. Originally released in 1984, the book won multiple awards and has become a children’s favourite. This film, which was filmed in Christchurch in New Zealand, attempts to follow in the footsteps of other young adult adaptations such as Twilight and The Hunger Games. The premise is a sound one and directors Miranda Harcourt and Stuart McKenzie do a fairly good job of drawing you into the story. Laura is immediately established as a sympathetic character doing the best she can under difficult circumstances. 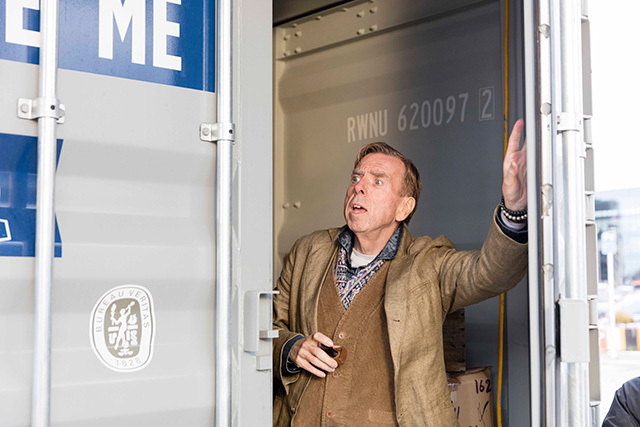 The film kicks things into action when Timothy Spall first appears as Braque. He’s very effective as the chilling villain and is easily one of the best things about the film. Spall really brings to life the darker side of his character and he makes for a formidable enemy. There are several scenes where he torments Laura in a bid to get to Jacko and those are pretty tense. While there is much to sink your teeth into during the film’s first half, the film’s imperfections start to show. The characters are under-developed, especially Sorensen, and at 90-minutes the film starts to feel very rushed. Laura’s realisation that she is a witch is given no time to sink in. Instead she’s thrown in at the deep end and her transformation (or should we say changeover?) arrives at breakneck speed. Similarly the film’s ending isn’t given enough time to play out and it feels like everything concludes abruptly. It wouldn’t surprise me if The Changeover was designed to spawn sequels in the future but I’m not sure the film needs any. There’s actually a much deeper story here than you probably expect going into it but the lack of time to develop it leaves you frustrated and a little underwhelmed. The cast is solid but like the film, they aren’t given enough time to really make an impact on you. The Changeover will probably strike a chord with teenagers, who are the core audience, but there’s little for anyone outside that age group to get excited about.